Herndon | AllTech Services, Inc.
Now Is the Time to Prep Your Home for Spring! Spring is almost upon us. Temperatures may still be on the cooler side, but that makes it the perfect time to start thinking about preparing our homes for the warmer weather that’s slowly but surely on its way. This includes ensuring that all the exterior and interior components of your home are in good shape. You should be checking your roof to ensure that winter storms did it no harm, as well as your windows to make sure they are still properly sealed so they don’t let in any hot air when you’re trying to use your air conditioner in the coming months. Posted in Air Conditioning | Comments Off on Now Is the Time to Prep Your Home for Spring! If not detected soon enough, a plumbing leak has the potential to cost thousands of dollars in damage. Unfortunately, they are notoriously hard to detect as well—unless you have professional assistance. 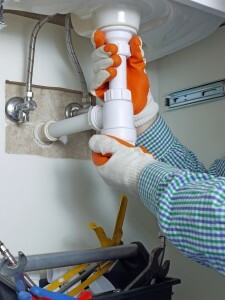 Although, if you know what to look and listen for, you may be able to identify plumbing problems before they grow any larger, giving you ample time to call on our professional plumbers. Keep reading to learn about some of the warning signs of a leak. When winter hits full force, there’s no denying that your heating system will become the most vital appliance you have within your home. And so long as it is well taken care of, you likely expect it to effectively keep you warm when you turn it on. However, if your furnace comes on and the air coming from the vents is only lukewarm, or cool, then it cannot possibly be efficiently heating your home, and it’s time to call in the professionals. Our team is standing by and ready to safely discover what’s wrong with your furnace to provide you with the best solutions. In the meantime, here are a few reasons this may be occurring. As winter approaches, hopefully you are well equipped with a heater that’s been maintained in the last year and is ready to take on cooler temperatures. If you aren’t, and you’re considering replacing your heater with a new system, now is the time to do so—while temperatures are still fairly mild. A new heating system can be a huge benefit to your home’s comfort levels when winter comes, but you should do all that you can to prepare for a new heating system purchase. While you could go out and just get a newer version of the heater you currently have, you could be missing out on some great factors, such as improved efficiency, or a system more suited to your needs. Keep reading to learn more about what you should consider when purchasing a new heater. Summer may be almost over “officially” in two weeks, but that doesn’t mean we’re done contending with hot weather. 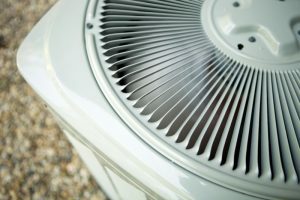 Hopefully, you haven’t had any detrimental problems with your air conditioner this season, as it’s definitely hard to get through a summer here without a properly functioning cooling system. Air conditioners are designed to withstand very high temperatures, and many years of use. However, if your system is aging or has not been properly maintained, then after a season of steady use it’s very possible it can suffer a breakdown at the end of summer. Is Your Toilet Continuously Running? When your toilet starts running but won’t stop, it’s more than just an inconvenience. This can cost you lots of money due to excess water that you aren’t using, which will reflect in your monthly water bill. Running toilets lead to other potential problems as well. You might not be able to flush your toilet adequately, which of course is an issue. If you start hearing the sound of running water coming from your toilet, be sure to call for plumbing repairs right away. In the meantime, keep reading to discover a few common reasons why your toilet may keep running. Posted in Plumbing | Comments Off on Is Your Toilet Continuously Running?